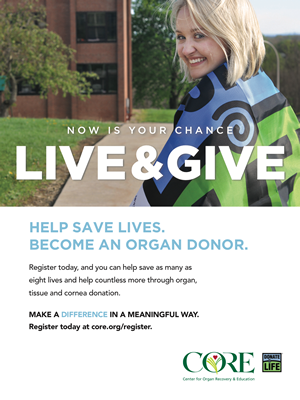 Do you want to help save lives and earn funds for your student organization? 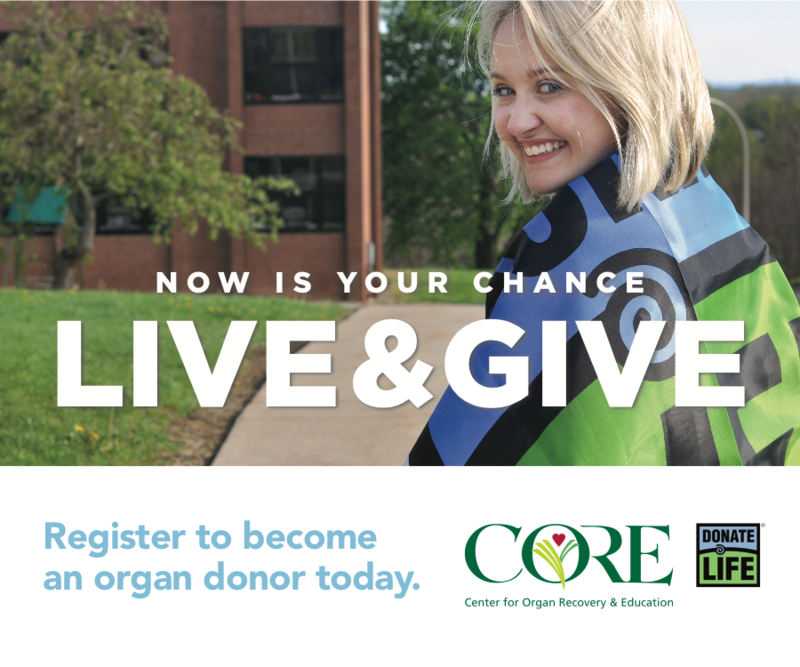 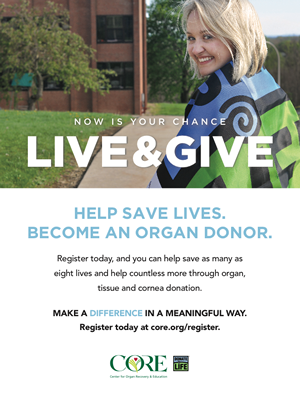 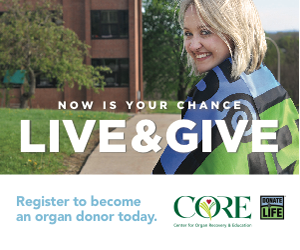 Join the the Center for Organ Recovery and Education’s (CORE) 2019 College Challenge and make a difference for 115,000 Americans waiting for life-saving organ transplants. 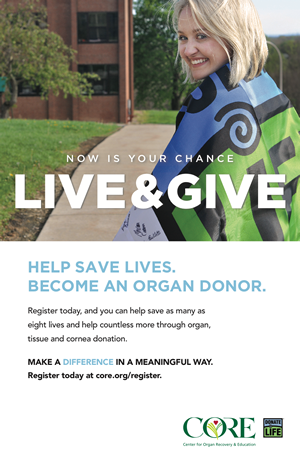 Help end our nation’s critical organ shortage by raising awareness on your campus of the need for organ, tissue and cornea donors. 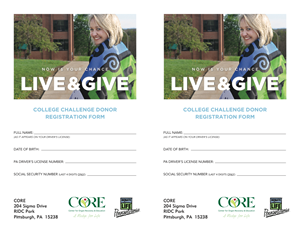 By sharing information, hosting events and registering donors, you’ll earn points for your team as you compete against other local universities. 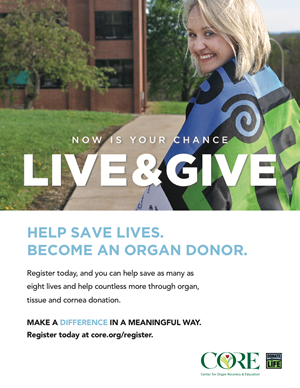 This year’s challenge is bigger and better with even more chances to win, more great swag, more competition and more fun! 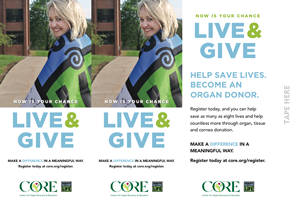 The Challenge begins on February 14, 2019 (Valentine’s Day and National Donor Day) and ends on April 12, 2019 (National Donate Life Blue & Green Day).